A travel guide before you visit the most mysterious and interesting places of India. So let's not waste a single bit or a step! As it is very important for us to give time to ourselves keeping aside the routine.So, Let's Travel! Let's travel the whole world and have no regrets at the end. You may take something with you and hopefully you might also leave something good behind. Here are some of the mysterious places of India to visit which have a lot of interesting stories within. "The pride of Royal Rajasthan"
Chittorgarh Fort is located on the banks of Berach river, in Rajasthan. 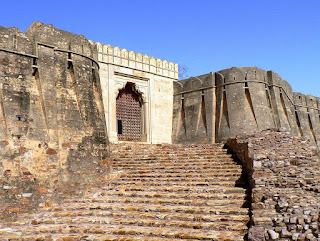 This fort is on a hilltop and is known to be the largest fort of India. 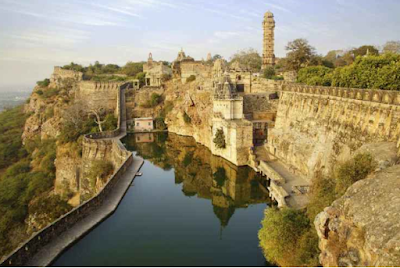 The fort comprises 65 historic built structures, among them 4 palace complexes, 19 main temples, 4 memorials and 20 functional water bodies. 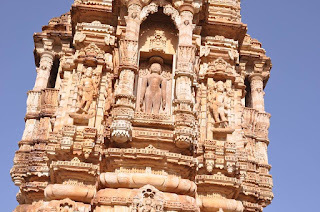 In order to enter the fort you need to cross all the seven huge gates named as the Paidal Pol, Bhairon Pol, Hanuman Pol, Ganesh Pol, Jorla Pol, Laxman Pol, and Ram Pol, the final and main gate. All the gateways to the fort have been built as massive stone structures with secure fortifications for military defense. The doors of the gates with pointed arches are reinforced to fend off elephants and cannon shots. 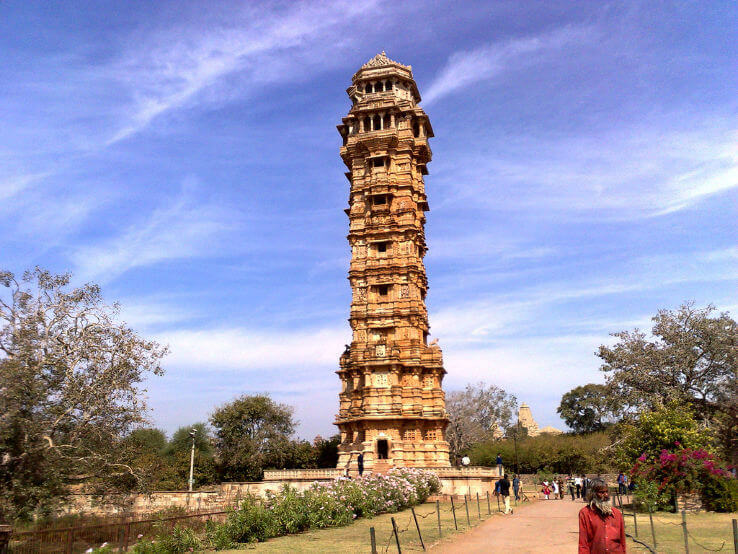 This is a 15th century tower built by Rana Kumbha to celebrate his victory over Malwa’s Mahmud Khilji. The tower is dedicated to Lord Vishnu. You can find staircase in this tower. 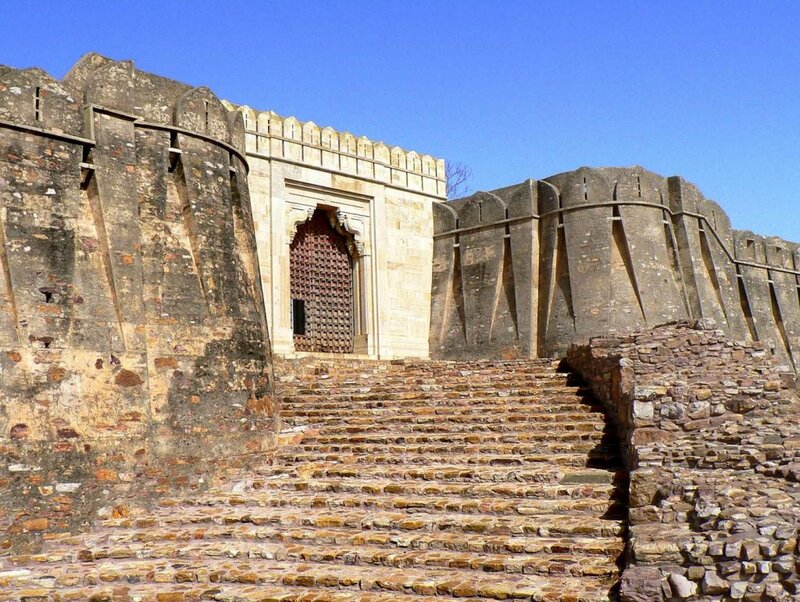 If desired, climb 157 stairs to reach the ninth floor to get a good view of the fort. To the southwestern region of the tower, you can find many stones. They represent the ground where 13,000 women committed jauhar (royal suicide) by jumping into the fire in 16th century. 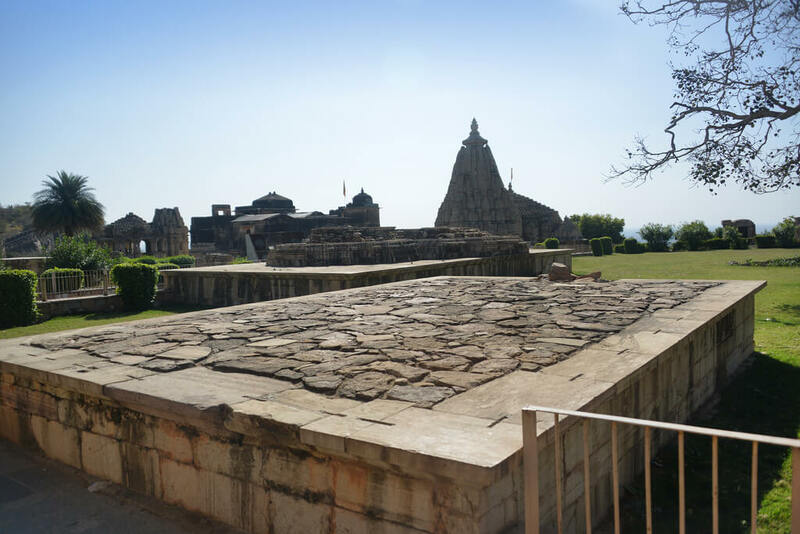 To the north of the gate, you will find the 14th century Tower of Fame, also known as Kirti Stambh. 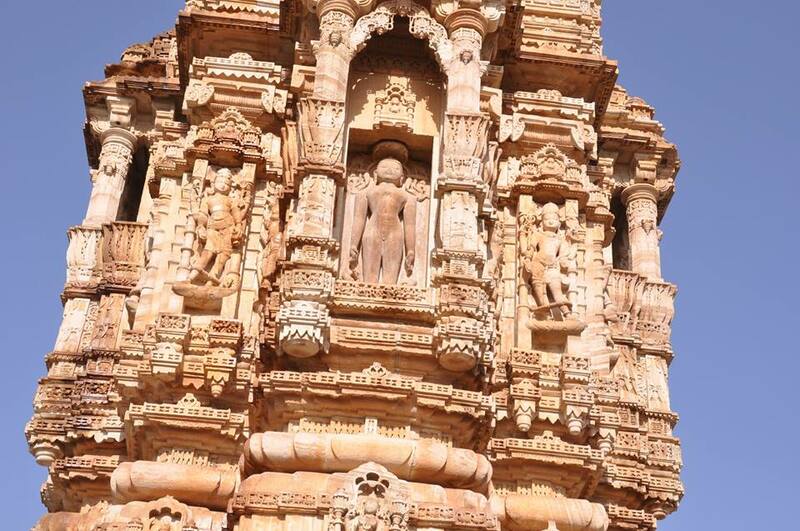 This tower is dedicated to Jain Tirthankar and has many carvings of the Tirthankar. The tower has seven levels and a staircase allow access to the top of the tower. Apart from these, you can find several other structures inside the fort, built during different era. The best time to visit this place is from September to Feb especially in monsoons and winters. Ramanathaswamy Temple is a Hindu temple dedicated to the god Shiva. This temple is one of the four pilgrimages of India (Char Dham of India). 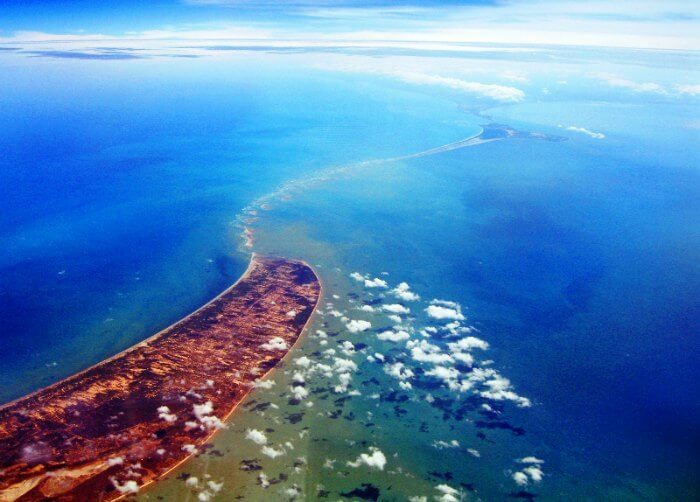 It is located on Rameshwaram, at the eastern side of the Pamban island, in the state of Tamilnadu. 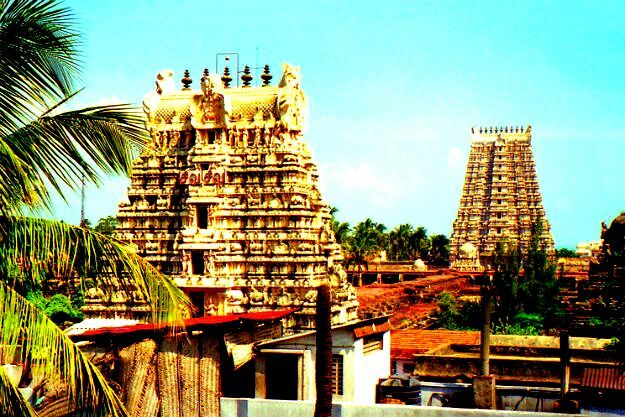 Rameshwaram Temple is famous for embracing one of the twelve Jyotirlingas (lingam of light) of Lord Shiva. 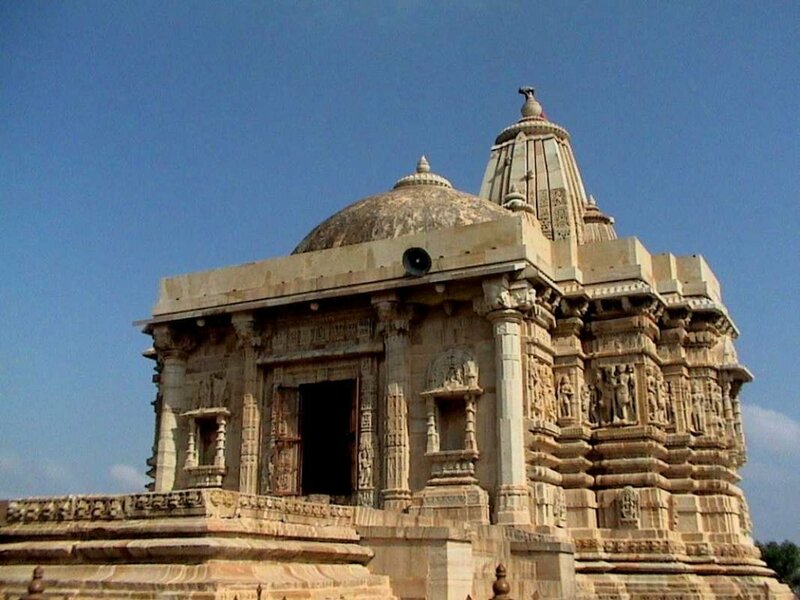 The temple is also accredited for being the southern most 'jyotirlinga' of India. 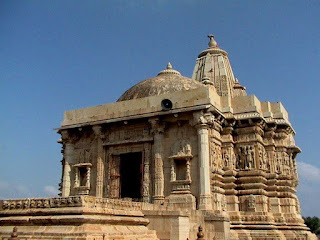 It is believed that at this place Lord Rama offered his gratitude to Lord Shiva. Temple tanks, hall of 1000 pillars, and several other shrines in the temple attract millions of pilgrims every year, especially during Maha Shivratri. In addition to that, you can also visit the most famous Adam's Bridge. Adam’s Bridge or Rama Setu is a debatable historic bridge that connects Rameshwaram island of India to the north-western coast of Sri Lanka. 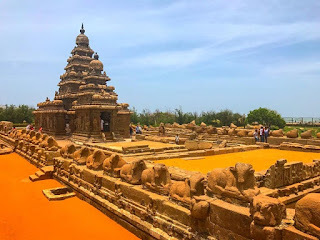 "The land of seven pagodas"
The temple city of Mahabalipuram (also Mamallapuram) is situated just 60 km off Chennai on the Bay of Bengal coast in the south Indian state of Tamil Nadu. The city is well connected through a network of roads from Chennai and other important cities of South India. 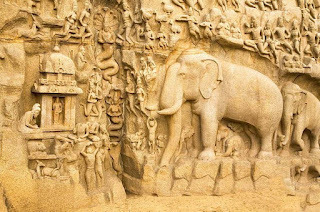 Mahabalipuram was the earlier name of Mamallapuram because the demon king Mahabali was killed by Lord Vishnu. The name was changed later by the king of Pallava Narashima Varman who has got the title of Mamalla; the great wrestler. 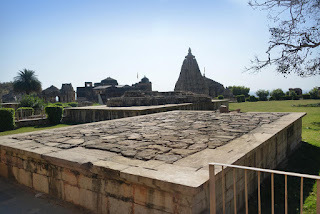 There is a huge rock tub said to be the bathing tub of Draupathi. Above, on the rocky hill is a shrine of Vishnu without the deity. One can also see the old rock built lighthouse and the modern lighthouse side by side. Standing right on the Bay of Bengal, the Shore Temple has been subject for centuries to the vicissitudes of sun, sea, and sand, so it’s no-table for the degree of detail that remains. You enter the temple from the back, through a courtyard surrounded by a massive wall topped by reclining bulls and two Shiva towers. Although ravaged by time, the calm image of Vishnu, lying in cosmic sleep on the sea with the serpent Sesha at his side, is juxtaposed with the clamor or waves pounding on the sea wall. 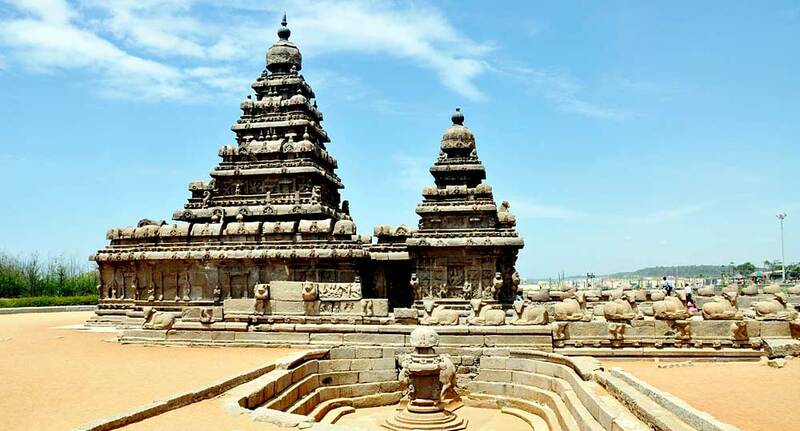 The Shore Temple was built by the Pallava king Rajasimha in the early 8th century. The world’s largest bas-relief-96 ft long and 43 ft high—the Penance of Arjuna, also called the Descent of the Ganges, is carved on two adjacent boulders. Created by the Pallava dynasty, the work dates from the 7th century. Among the many figures depicted, both mythical and real, is a figure of Shiva with an ascetic Arjuna to his left, standing on one leg. The rendering is thought to be a scene from the Bhagavad Gita, in which Arjuna asks Shiva for help defeating his enemies. The Five Rathas are also called the Pancha Pandava Rathas for the Five Pandava sons in the Hindu epic Mahabharata. 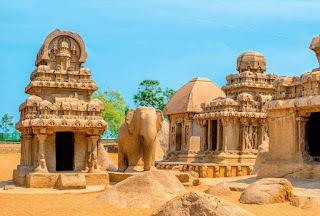 The Rathas, probably the most famous example of Pallava architecture, are carved out of five pieces of granite, each temple distinctive, with its own elevation, plan, and exquisite detail. From north to south, the individual Rathas are the Draupadi (named for the wife of the Pandavas), dedicated to the goddess Durga, a warrior wife of Shiva who rides a lion; the Arjuna (named for the charioteer of the Bhagavad Gita, part of the Mahab-harata), dedicated to the thunder god Indra; the Bhima (named for a Pandava son), the largest temple; the Sahadeva (named for a Pandava prince), part of which represents a Buddhist chapel; and the Dharmaraja, dedicated to Shiva. Three animal sculptures—an elephant, a lion, and the Nandi bull (the vehicles of Indra, Durga, and Shiva)—complete the display. 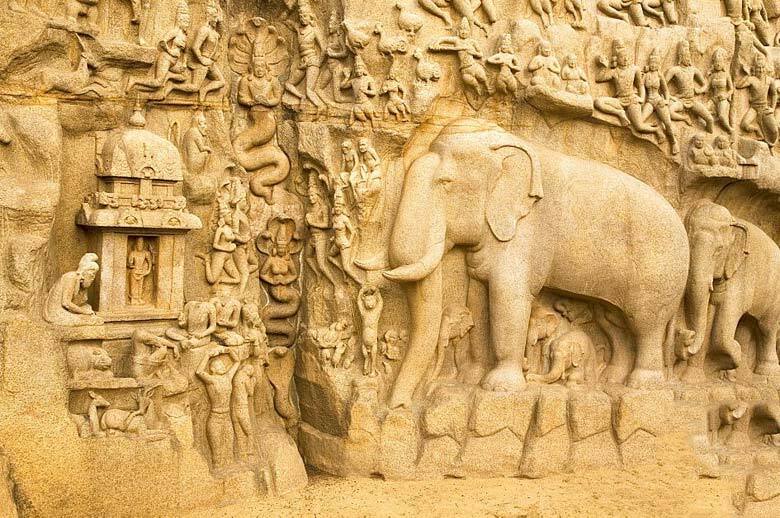 Mahabalipuram is a real feast to the eyes that could read an epic in lively sculpture. Your Travel Buddy. Picture Window theme. Powered by Blogger.